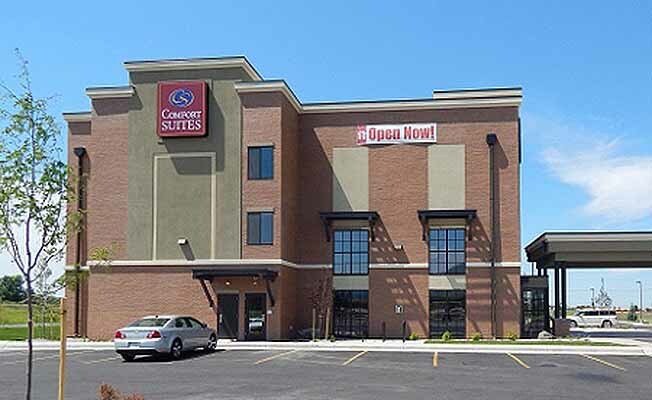 The Comfort Suites hotel in Bozeman, MT is conveniently located less than five miles from the Museum of the Rockies and Montana State University. This interior corridor Bozeman, Montana hotel is minutes from the Bozeman Yellowstone International Airport, Bridger Bowl ski area and the Bozeman Deaconess Hospital. Big Sky ski area and Yellowstone National Park are also only a short car ride away. Your Morning Breakfast is full of hot and delicious options, making breakfast at the Comfort Suites the perfect way to start your day. Enjoy our free hot breakfast featuring eggs, meat, yogurt, fresh fruit, cereal and more, including your choice of hot waffle flavors! If you're leaving early, a Your Suite Success(TM) Grab & Go bag is available for the two hours prior to breakfast. All guest rooms offer a flat-screen television with cable, coffee maker, desk, microwave, iron and ironing board, sofa sleeper, hair dryer and alarm clock. Keep your electronic devices charged with the recharge device including AC and USB outlets provided in all guest rooms. Guests of the Comfort Suites hotel are invited to relax in the indoor heated pool and utilize the on-site Business Center for access to copy and fax services. This is a non-smoking hotel. Book a room with us today, we look forward to your stay.